Google AdSense is one of the most popular ways to monetize blogs and websites. A lot of bloggers and webmasters monetize their sites in different ways to make money. One of the lesser used way to earn money is through tweaking your blog feed to include ads. This is particularly useful for people who have a large number of feed subscribers, so they might as well tap into, and harness the benefits. Ordinarily, Google AdSense for feeds would be a good option for such monetization. But now, Google has decided it's perhaps better off without AdSense for feeds, which might be cause for concern for some popular bloggers. The revelation came as a part of Google's spring cleaning program, where Google has decided to shut down AdSense for feeds in around two months, starting 2nd Oct. The deed would be completed on 3rd December, hence leaving bloggers with around two month's time to pack up and think about an alternative. To quote Google, "Starting 2nd October we will retire it, and on December 3rd, we will close it." Nothing much, really. 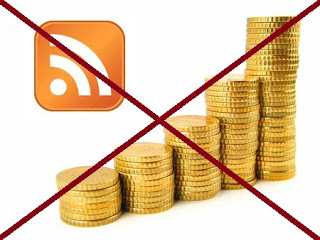 Feeds generate very little revenue, if at all, even for very popular websites with thousands of subscribers. But looking at the bigger picture, it is cause for concern. Google AdSense has already retired AdSense for Domains and AdSense for Videos. And now, AdSense for Feeds is going down. This could jeopardize Feedburner's future. It's a free service, and a lot of bloggers are using it. In fact, it's the best free email marketing tool out there. Other good ones are paid. And since AdSense for Feeds was Feedburner's major source of revenue, it's only a matter of time before Google pulls the plug on Feedburner, resulting in the loss of hundreds and thousands of subscribers. Since Google provides no replacement, you might have to look for one yourself. An alternative could be Kamoodle, Text Link Ads, or The Pheedo. Feed Show and Ad Genta are two more. You can use any of these to monetize your blog feeds. Another option you have is to start affiliate marketing on your feed! I mean, why not! You can always put in HTML codes for your affiliate ads (links, banners etc) in your feeds. It could make a difference, as regular and loyal readers are the ones who will eventually get you earning through referrals.